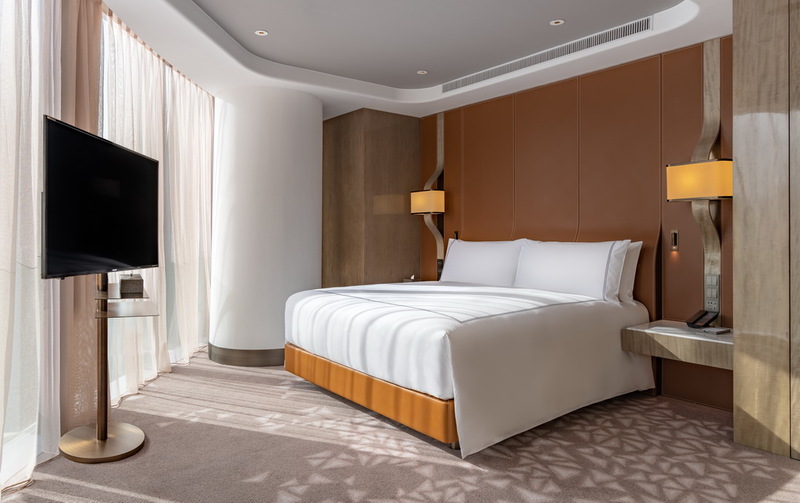 Welcome to Conrad Hangzhou , in the emerging Qianjiang CBD. 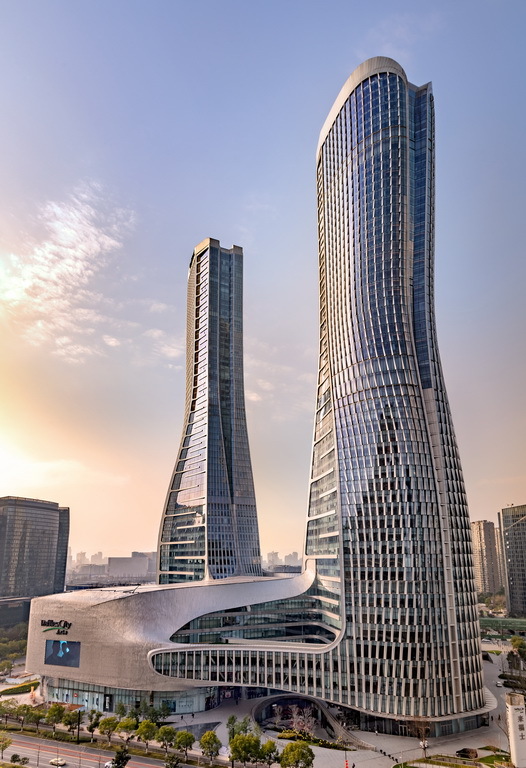 Soaring over 50 storeys, this luxury hotel comprises two distinct towers - a true landmark that's visible from all over the city. 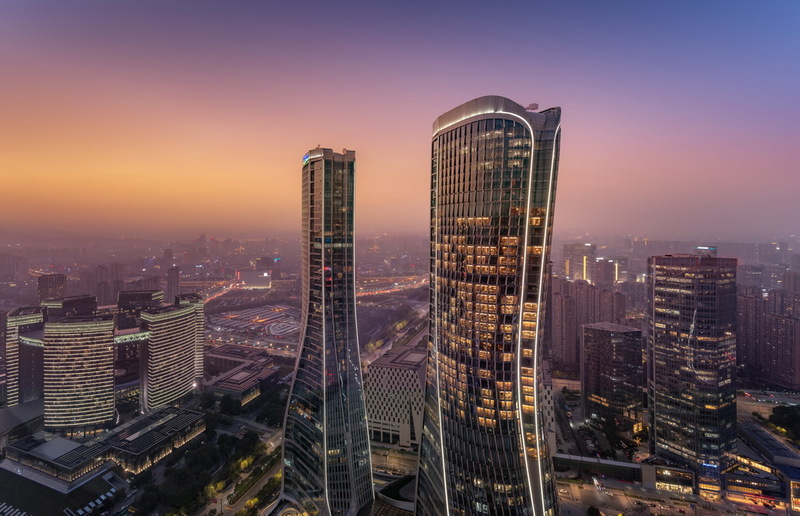 Guests will find unique architecture, sleek interiors and inspired artwork at every turn, and the panoramic views from every guest room invite you to see Hangzhou from a unique vantage. Inspired by the weeping willows of the West Lake, Blue Willow is an upscale brasserie that's open all day. Enjoy an international flair and a delicious selection of Mediterranean, Chinese and Asian cuisine from the open kitchen and live stations. A slinky contemporary Japanese table & bar, Sushi, Sashimi, a la minute Teppan live cooking, drinks including but not limited to Japanese infused cocktails and most widest selection of Sakes in Hangzhou and DJ’s who will play his finest tunes for a chilled night out. 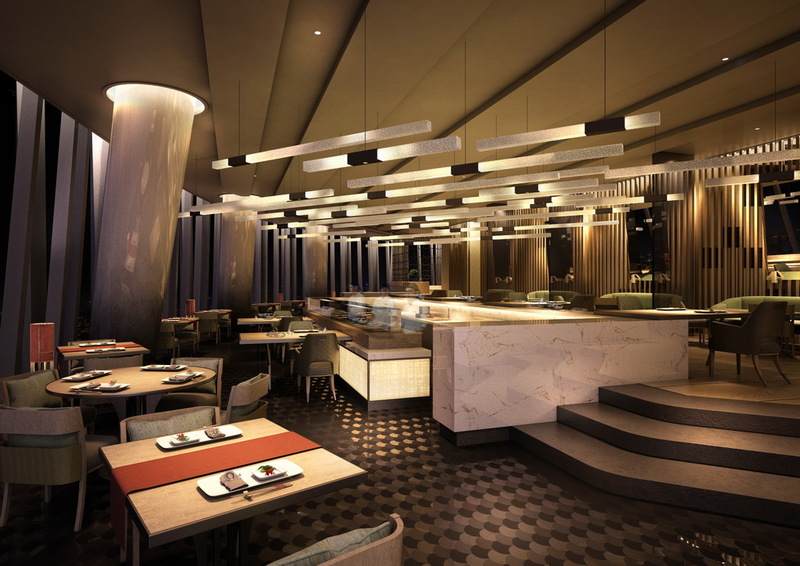 Traditional meets modern at Li'An restaurant, serving delicious Chinese dishes in a dynamic setting 50 floors aloft. Enjoy the warmth and privacy of private dining areas, each featuring its own lounge space and washroom. Predominantly Traditional and fusion “JiangNan” cuisine. 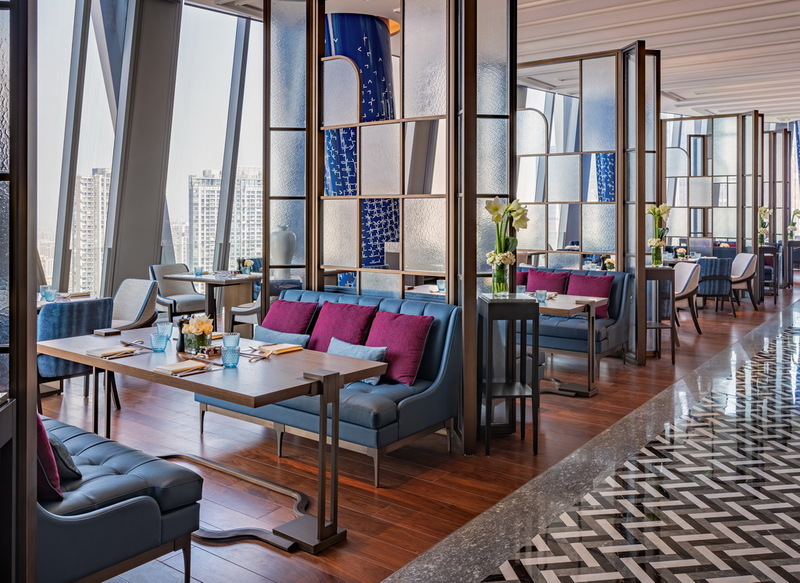 One (1) certificate for a Buffet Lunch or Dinner for two persons, valid at ESSENCE restaurant at Hilton Shanghai Hongqiao. Valid for 7 days a week. Not valid for Sunday brunch. Not valid on Christmas Eve (24th December), Valentine’s day (14th February), New Year’s Eve (31st December) and Chinese New Year’s Eve. Non-Transferable. One (1) certificate for a Buffet Lunch for two persons, valid at ESSENCE restaurant at Hilton Shanghai Hongqiao. Valid for 7 days a week. Not valid for Sunday brunch. Not valid on Christmas Eve (24th December), Valentine’s day (14th February), New Year’s Eve (31st December) and Chinese New Year’s Eve. Non-Transferable. 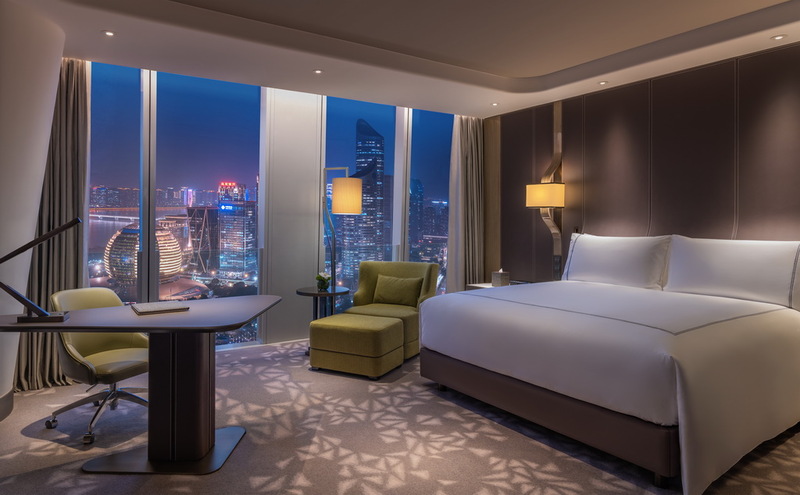 Five (5) RMB 100 Dining Certificates for reduction on food and beverage bill at any participating restaurants at Hilton Shanghai Hongqiao. Valid in conjunction with the member dining discount, maximum two certificates per visit. Not valid for Sunday brunch. Not valid on Christmas Eve (24th December) and Valentine’s day (14th February). Non-Transferable. 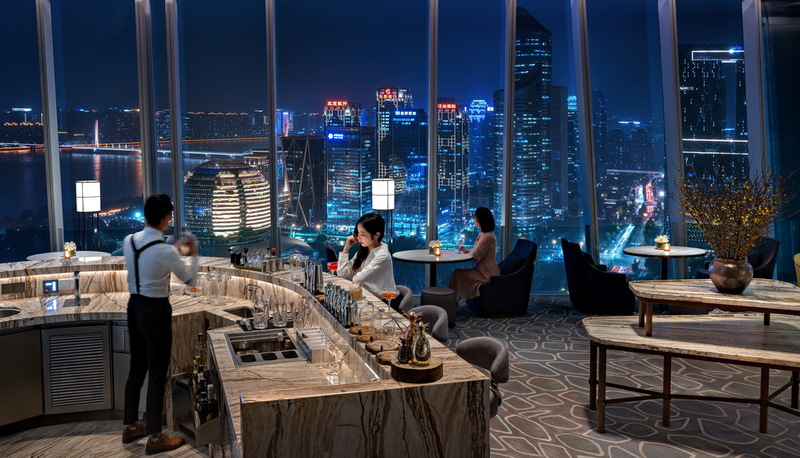 Two (2) ‘A Bottle of House Wine’ Certificates,valid when two or more persons dine in any participating restaurant at Hilton Shanghai Hongqiao. Valid in conjunction with member dining discount and cash vouchers. Member must dine at the restaurant to receive the benefit. Non-Transferable. 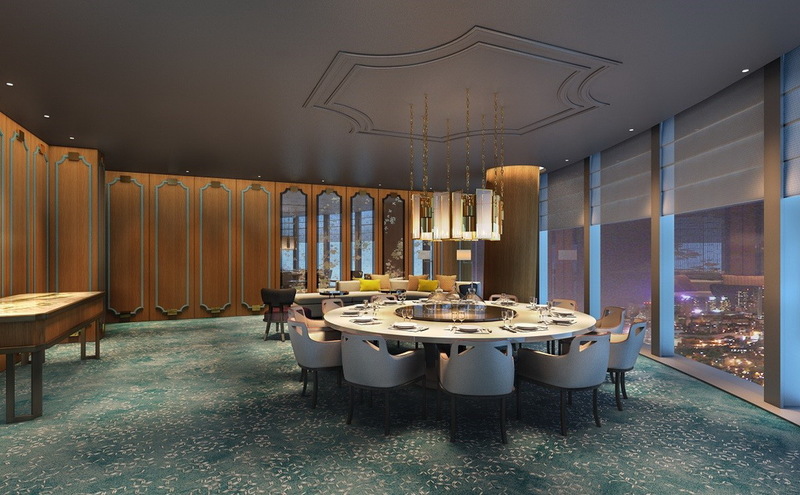 One (1) Special Occasion Dining Certificate for a thirty percent (30%) discount at food and beverage bill for maximum 12 persons at Yue Xuan Chinese Restaurant at Hilton Shanghai Hongqiao. Not valid with any other member benefit. One (1) certificate for an Afternoon Tea set for 2 persons, valid at Pulse lobby lounge at Hilton Shanghai Hongqiao. Non-Transferable.